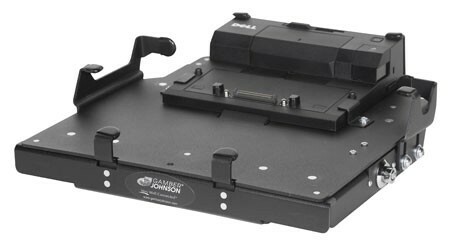 Cradles and Docking Stations attach to the Motion Attachment and safely secure your laptop computer in your vehicles. Docking stations typically provide port replication — a simplified way of "plugging-in" a portable laptop computer to common computer peripherals. A cradle does not provide any port replication.